A Parent’s Guide to Raising Children with Healthy Vision, the second book by author Dr. Nicholas Despotidis and the first for each of his co-authors, is simultaneously a clarion call to address the rapidly worsening myopia epidemic and a relatable companion for parents raising young children. “Dr. D”, Dr. Noah & Kimberly Lee make the argument that the epidemic is as much a societal issue as it is an ocular one. The increasing prevalence of smartphones, tablets, computers & video games, combined with ever-demanding expectations, all contribute to the scourge of myopia, inhibiting a healthy life for our children in more ways than one. Dr. Despotidis, as an eye doctor and a parent, is well-versed in the social & physical causes of myopia, and he offers a variety of solutions for parents – some as simple as increasing time out of doors, others a bit more complex and clinical. He recruits Dr. Tannen to succinctly and clearly explain the science behind myopia, as well as the various treatment options available. Kimberly Lee offers a valuable mother’s perspective on the effects technology has had on her family. 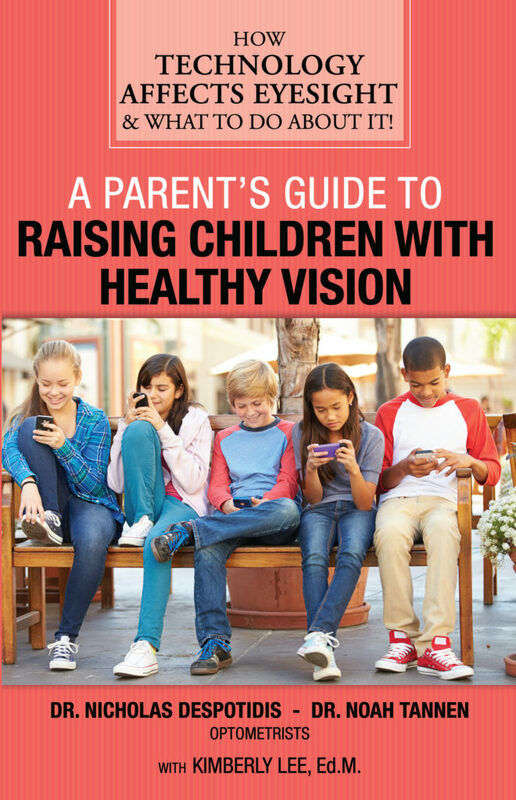 In all, A Parent’s Guide to Raising Children with Healthy Vision is just that, a guide designed for parents. It is easy to read, complete with a glossary of medical terms, relatable stories of real patients, and recommendations on how to choose the best treatment plan for your child. Vision is more than simply eyesight, and healthy vision requires more than a visit to an optometrist. This book aims to make those long-term solutions clear.